It’s fair to say that ‘geek culture’ is a large gathering of different obsessions. Anything from Star Trek, to Star Wars, to Board Games, to Doctor Who…and yes, even escape rooms have been added under the geek culture umbrella. So what happens when 2 geek trends get combined? You end up with amazing ideas like the Doctor Who Experience, an escape room for Doctor Who fans! Seriously? An escape room for Doctor Who fans?! Yeppers, we kid you not! And it gets better, the creators use the proceeds to fund local Children’s Hospitals & related charities wherever it travels. This is why we were particularly excited to be invited to try the Doctor Who Experience at Fan Expo 2017 in Toronto! EDITOR’S NOTE: The scores of this room do not indicate its most important feature which of course is a charity fundraiser for local kid’s hospitals. Our ‘review’ is more of a formality and only being published for the sake of trying to gather more attention for it. We truly hope you’ll join the Esc Room Addict team in supporting the efforts of The Doctor Who Society Of Canada! The pre-room experience will vary depending on where The Doctor Who Experience is set up. Typically it’s found on a convention floor, but convention centres vary, crowds vary, accessibility varies…etc, etc, etc. In this case, we decided it wouldn’t be fair to rate the pre-room experience based on so many variables. The only change we would’ve liked to have seen was a better pre-story. As it stands, it’s a very basic ”Are you worthy to help the Doctor?”” type of intro which didn’t set the mood or context for the room we felt. 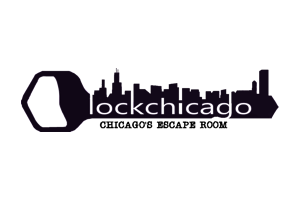 The room quality is also what one would expect from a pop-up escape room experience. Most of the items were small, portable, plastic, paper, and generally low quality. The room itself was supplied and partitioned by whatever Fan Expo provided. In our case, thick curtains locked together to separate the playing areas. Not much to look at in terms of quality, but if you’re a fan of the show, you might enjoy the large collection of Doctor Who paraphernalia put together… Even though our team ranged from casual Doctor Who fans to full out ‘Whovians’ (avid followers of the show for 40+ yrs), we all agreed the room could have benefited from more time, effort, and investment put into the overall quality and production value. The immersion allowed for a little more debate within our team. Ideally a well designed Doctor Who escape room would find ways to include escape room enthusiasts, Doctor Who fans, and those who just want to support the charity fundraising aspect. Unfortunately it fell a bit short in this aspect. The room designer is clearly an avid ‘Whovian’ who enjoys escape rooms, but probably didn’t realize the absolute need for inclusiveness and it was evident throughout the experience. Only one of our review team members who’s been watching Doctor Who for over 40yrs, seemed to enjoy the environment & surroundings. In fairness, there was great use of the Doctor Who soundtrack to keep the atmosphere thematic, but beyond that, most of our team felt either left-out or frustrated by not understanding what was going on. The puzzles are a continuation of the same design flaws unfortunately. Most of the puzzles required knowledge of the tv show that wasn’t presented within the room itself (a designer’s no-no in the escape room industry). Furthermore, the level of knowledge required to solve the puzzles ranged from casual follower of the tv show, to ‘uber-fans’ who can identify and remember items Doctor Who pulls out of his coat pocket in specific episodes. Now this isn’t impossible of course, and there are some ‘Whovians’ who will in fact have this level of intimate knowledge. The point however is unless your knowledge surpasses even long-standing fans of the show, you won’t be able to solve these puzzles because there’s nothing (apart from asking for a hint) in the room to help you solve them. This room is created by an uber-fan, for those who have spent an equal amount of time on Doctor Who enthusiast websites, fan forums, at conventions or re-watching episodes frequently enough to memorize the scripts. It’s not a series of puzzles designed for long-standing Doctor Who fans, casual Doctor Who fans, escape room enthusiasts, or the general public. There’s a specific target audience, and so long as you’re ok with that, you’ll probably appreciate how some of it is presented. Looking at the positives, the puzzle path was an open ”meta-puzzle” design that allowed everyone to gather & brainstorm different challenges which was nice to see. So in the end was it fun? Well…’fun’ might not be the right word in this case. We’re going to revert to our earlier caveat and remind everyone the best function of this room is the great charity work it supports! We’re truly quite honoured to bring more attention to it and do whatever we can to help. It’s also fair to add some context. The Doctor Who Experience usually travels with various ‘geek culture’ conventions around the country, and therefore provides a nice break from the annoying long line-ups for an actor’s autograph, or standing in a crowded room for a Q&A session with a particular actor. Our recommendation? If you’re at a convention and the Doctor Who Experience is there, go check it out and support a great cause. 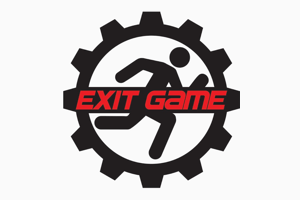 If however you’re an escape room enthusiast who wouldn’t ordinarily go to a convention, you probably shouldn’t make an exception just to see this room because it’s not designed for escape room enthusiasts or the general public.